The Reference Nutrient Intake in the UK is 0.75g of protein per kg of bodyweight – that equates to about 52g for a person who weighs 70kg; if you consider that one chicken breast provides about 31g protein that gives you an idea. Protein has a variety of uses in the body – primarily the production of all structural components: cells, muscles, tendons and other tissues but also immune cells, hormones and neurotransmitters – therefore rebuilding, repair and the maintenance of good health generally. About 10-15% of our energy comes from protein, but because of its many uses, the body prefers to spare protein as a source of energy if possible. 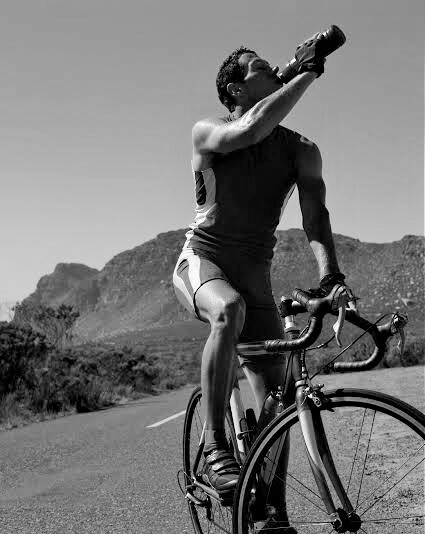 As athletes who place huge demands on our muscles and tendons, our aim is to preserve our protein mass as far as possible. But does eating more protein by itself increase your muscle mass? Surprising as it may seem, the answer is ‘no’. Only exercise increases muscle mass – increasing protein in the diet without a concomitant increase exercise will add weight but not the kind you want. Protein, carbohydrates and fat all contain potential energy and/or use in the body but what is not utilised is simply stored – as fat. It’s better to look at it from another angle, which is that increasing exercise utilises the protein you eat to help build muscle. So how do you know if your protein intake is meeting the demands you are placing on your body? For hard-training athletes, studies suggest that protein requirements are a little greater than for sedentary folk, although less than you may think. To confuse matters, the advice is conflicting between US and European studies. The general consensus is that elite athletes require no more than 1.6g -1.7g per kg of bodyweight per day, which for a 70kg individual equals about 115g of protein, i.e. about 3 chicken breasts (1 chicken breast = approx 40g protein). Not much! An important factor that many people miss is that carbohydrate needs to be present for protein to be utilised by the body and converted into muscles and other tissues. In these days of carbohydrate restriction, this is a message that seems to have got lost. Without sufficient carbohydrate, the body will convert protein into glucose, the primary source of fuel for the body (and especially the brain). Ironically, therefore, those who are finding difficulty in building muscles are often those consuming the least carbs and the most protein! It’s important to be aware that taking in much more protein that the body needs puts the kidneys under strain, the organs that process the nitrogenous waste that comes from amino acids. I’ve heard it said that this is only an issue if you have a genetic or pre-existing kidney problem. The question is – do you want to risk finding out if you have a kidney problem? In addition, large amounts of dietary protein often contain large amounts of fat, putting extra strain on the kidneys due to the build-up of toxic ketones, which are a by-product of fat metabolism which the body resorts to in the absence of carbs. The best time for protein utilisation is during the anabolic phase, following a workout – this period is when protein requirements are highest – but before you reach for that protein shake, don’t forget you need carbs too! 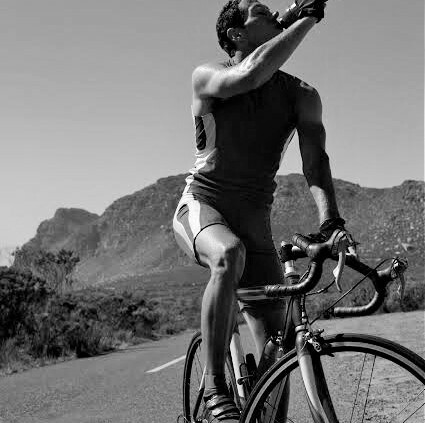 A recovery drink with carbohydrates, electrolytes and some protein powder within 45 mins of training is ideal. The rest of the time, stick to a ‘Mediterranean style’ diet, with normal amounts of dietary protein, and plenty of carbs in the form of vegetables, salads and fruit.